Before air conditioning was a standard inclusion in every home, we used standard window awnings to keep our homes cool in the summer and warm in the winter. This is all due to their design – they extend outwards from the wall above a window at an angle, effectively shielding the glass and allowing plenty of airflow between it and the fabric. Although standard awnings online were traditionally designed with manual operation, our fixed style can be motorised if you so desire. 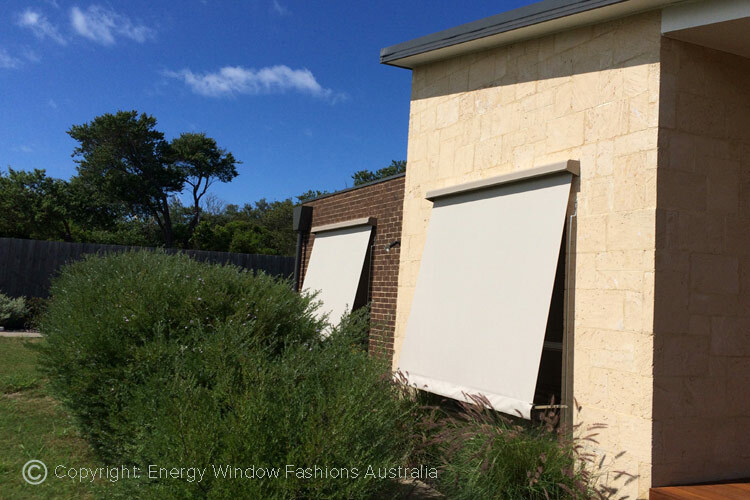 This is ideal for second storey window applications where trying to open and close the awnings manually can be difficult (or even dangerous). One of the main reasons behind the popularity of standard awnings in Melbourne is the fact that they will complement any style of home, from the traditional through to the modern. No one wants a covering that sticks out like a sore thumb; this option will prevent that. As these awnings have been designed specifically with outdoor use in mind, you can rest assured that they will withstand the elements with relative ease. Sun, rain, wind, hail and even snow will be no match. Please note, however, that they should be retracted during severe storms to prevent damage.